Today I review two books by the same author. Julia Gousseva stopped by Writing Whims a few days ago for Author Wednesday. 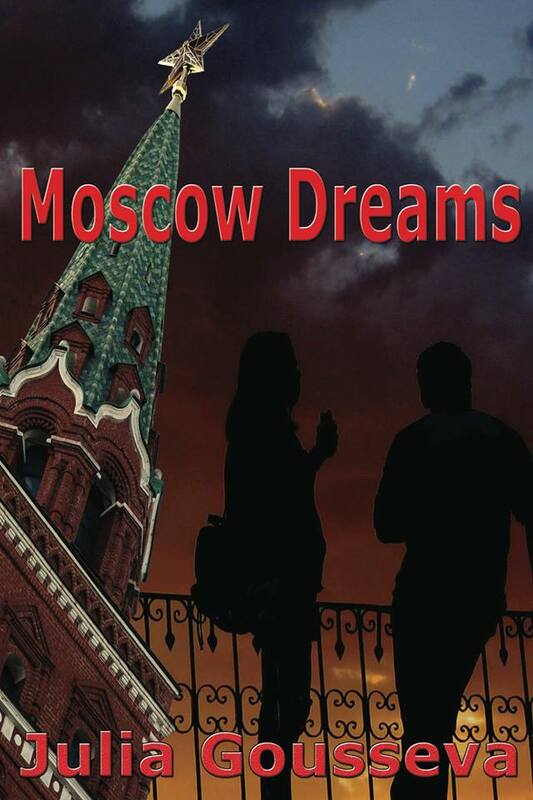 I’ve been waiting to post reviews of both of her novels Moscow Dreams and Anya’s Story. Both of these novels forced to revisit my attitudes and feelings about the Soviet Union—attitudes and feelings that were ingrained in me from a very early period by every single person in my orbit from my parents and my teachers to the political leaders I admired from afar. Recently, I saw a program on Billy Joel who spoke about his visit to the USSR. “They were just people like me,” he said. He was amazed as I was to put a face on a monster only to learn that monster never existed except in the minds of the people buying the propaganda spewed out to keep our enemies in view through a cheesecloth-covered lens. With this clouded view of a stereotype such as the looming mushroom cloud of the Soviet Union, no clear picture ever emerges of the individual. No clear picture emerges that is until literature, music, art, or travel opens our eyes to the truth. Human beings the world over have more in common individually than we ever realized. Cultural traditions, languages, and governments may be different, but human emotions of love, hate, joy, and anger emerge the same. Julia Gousseva uses the craft of prose in her novels to expose the truth beyond my childhood teachings. Moscow Dreams and Anya’s Story showed me the personal side, which left me echoing Billy Joel’s sentiment. Russian folks are people just like me. From the moment Moscow Dreams opens, the life of a teenager in Moscow in the early 1990s reveals a life different from any I ever imagined about growing up in the Soviet Union in the twentieth century. Ms. Gousseva takes the life of Marina, in her last two years of high school, and turns it into more than just a coming of age book. The novel begins in 1991 as Boris Yeltsin makes his bid for power against the first elected Soviet president, Mikhail Gorbachev, and the turmoil felt by those living through it is confusing, painful, and powerful. No one is more confused than Marina about the changes that occur in the next four months as the communist leader Gorbachev is routed out of his role by Yeltsin. Soon communism and party affiliations are banned and the young people in Ms. Gousseva’s novel must suddenly switch alliances to make good for their college applications. The state-owned sources of food disappear and suddenly the customs, tastes, and habits of the western world appear on the streets of Moscow. Capitalism has come to this country, and while the choices are exhilarating at first, soon the people realize their wages do not rise with the increase in food costs. Through it all, the life of Marina and her family and friends endure the changes and still manage to find hope. It’s through Marina’s parents and her babushka that the reader learns of why change is feared and why the government is seldom to be trusted. Anya’s Story is set in the same place and same era. To read this book is to take a step into the world of Moscow and Leningrad from several decades ago. The descriptions of Moscow and Leningrad created such a lovely picture in my mind that for the first time in my life, I feel attracted to Russia. Julia Gousseva wrote a novel in Anya’s Story that created the urge to travel to these cities and experience the magic and beauty firsthand. “Magic and “beauty” are not words I’d ever associated with this country shrouded in so much mystery and danger based on my upbringing in the United States in the 1950s and ’60s. The characters reveal a telling picture of the universality of the individuals who lived in a country that often kept its people in a world where their livelihood and sustenance came at the whim of a sometimes disjointed and confused government. 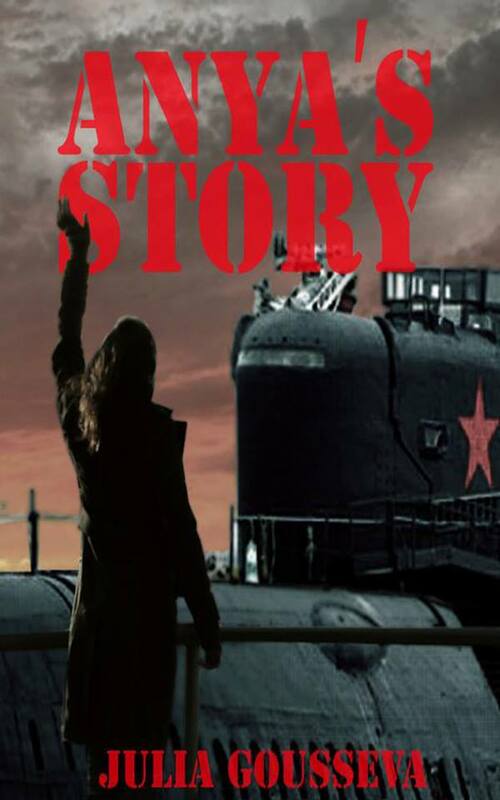 Despite never having been so dependent upon a secret government whose decision affected the lives of its people quickly and decisively, I was drawn to the characters of Ms. Gousseva’s novel. It is through the close examination of individuals that we can pull down the curtains of mystery and distrust created to win a nasty and Cold War. I was taught the distrust and dislike, not of individuals such as the Anya of this story, but of governments that wanted to overpower the superpower status of the United States. The U.S.S.R., once an uneasy ally, became the enemy during my elementary school days. We did drills with thought in mind of an invading enemy from a Russian decorated with a fur hat and tall boots all the while swilling back vodka and wiping drool from large red noses. My neighbors and a few family members even built bomb shelters with fear of a Russian attack on the United States as the motivating factor. Julia Gousseva has once again written a book rich in the cultures of a country with many subparts. The story floats from Moscow to Leningrad to the northern reaches of Russia to the warm state of Georgia creates a vast and expansive view of a country as varied as the one in which I live. Through the individual stories, I learned about the very personal nature of the different faces of the Soviet Union and Russia. While in the United States, our political leaders may change every four years, we’ve never known what it was like to suddenly wake up one morning only to be told everything we ever believed and known, never really existed in the first place. Unlike books such as Orwell’s 1984 where a cold impersonal view of Communism is impressed upon the reader and where the characters never seemed quite real to me, Dreams of Moscow and Anya’s Story present very real teenagers who are different in what they want from life, but are similar in their tastes for love and excitement. I’m very happy I found this author and her work because she managed to transport me to a very different and beautiful place through her vivid descriptions. It’s a view of Russia I enjoyed. That is perhaps the greatest thing about her novels. The gray view I’ve held of Russia all my life thanks to the Cold War of my youth, disappeared into bright and focused views of another place with people not so much different from me. This entry was posted in Author Wednesday, Ramblings of a Writer and tagged Boris Yeltsin, cold war, Leningrad, Mikhail Gorbachev, Moscow, Russia, Soviet Union, USSR. Bookmark the permalink.